With the news of David Wright's Sept 29th start and retirement, tickets for an otherwise playing-out-the-string Mets-Marlins game will now be a celebration of one of the most exciting and beloved Mets of the 21st century. 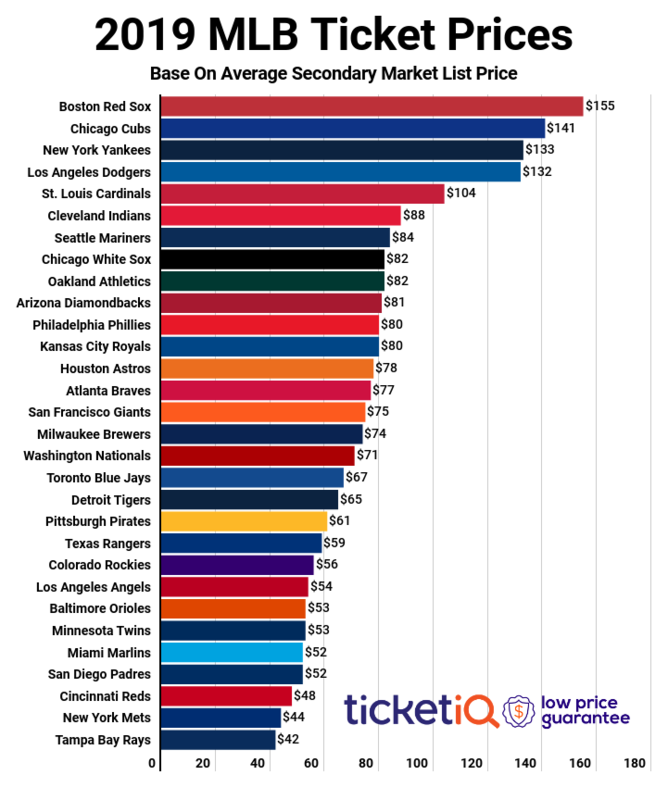 Unsurprisingly, the ticket market has exploded. 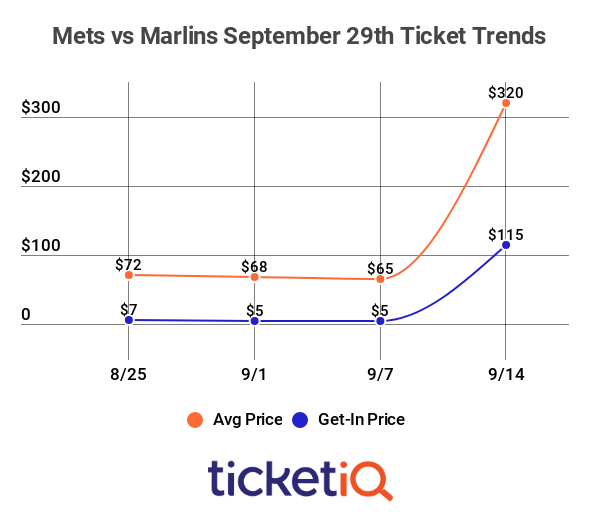 On TicketIQ.com, the average asking price on the secondary market for tickets to the September 29th game went from $65 on Thursday to $320 as of Friday morning (392% increase). The cheapest available seat also jumped from $5 to $115. 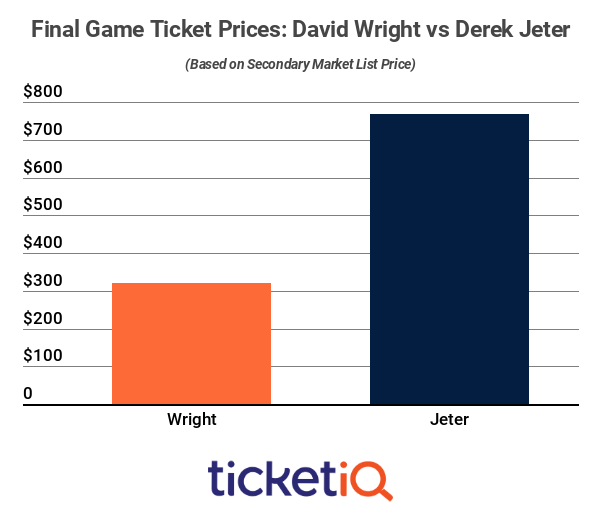 To compare, Derek Jeter's final home game, September 25th 2014, averaged $768 (peaking at $835) with cheapest seat $200 (peaking at $344).